Now you can take your favorite make-up brushes wherever you go. This sleek, envelope-style travel brush case has been custom designed to hold MUD travel size brushes, including the 210S, 300S, 310S, 330S, 710S, 800S and 810 series. 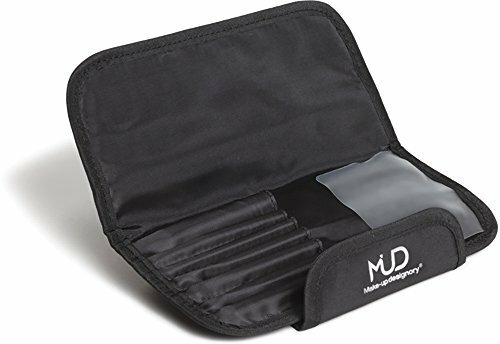 * The lightweight yet durable black microfiber material wipes clean, and the convenient magnetic closure keeps brushes in place during transit. If you have any questions about this product by MUD - Makeup Designory, contact us by completing and submitting the form below. If you are looking for a specif part number, please include it with your message.